The nineteenth and final round of the FIM Motocross World Championship – the MXGP of Pays de Montbéliard – put a special end to a challenging season for Monster Energy Yamaha Factory Racing’s Romain Febvre and Jeremy Van Horebeek, and Wilvo Yamaha Official MXGP’s Arnaud Tonus and Shaun Simpson, with all four riders finishing the Grand Prix inside the top-ten. Winter struck the paddock of Villars-sous-Ecot this weekend with temperatures being chilly and moist as the entire venue was battered by constant rainfall. The steep, slick and rutty clay hills provided a tricky stage for the final round of the MXGP series, but it didn’t prove too difficult for Monster Energy Yamaha Factory Racing’s Romain Febvre who bought his home fans to life as he pushed Tim Gajser to the flag for a narrow second place finish in the opening race of the day. The unforgiving circuit had Jeremy Van Horebeek on the deck after he got cross-rutted on lap three. He crashed out of a top-five position but managed to regroup and finish eighth after a brief duel with the nine-time world champion Antonio Cairoli. Wilvo Yamaha Official MXGP’s Arnaud Tonus and Shaun Simpson had a dramatic start to the weekend. The duo recovered from a chaotic tangle on the first lap where they charged hard from outside of the top-thirty to finish tenth and fifteenth respectively. With new motivation for the final race of the year, Tonus started inside the top-five and gave chase to the Race 1 winner, Tim Gajser, who was stubborn in the fight for third-place. After spending the last month recovering from a broken rib, he couldn’t run the pace of the former world champ for the entire race, but still put in an inspiring ride for fifth. A brighter start to the second race saw Simpson wrap up the final Grand Prix of the year with a top-ten result after finishing eleventh in Race 2. Febvre was one of the most impressive riders out on track this weekend. The twenty-five-year-old was forced to rally back from outside of the top-twenty after a poor start saw him make a mistake at turn-two. The Frenchman had his work cut-out as his carved his own path through the relentless clay ruts and bumps. His feistiness paid dividends as he powered his YZ450FM around some of the world’s fastest and most acclaimed motocross riders in the world to finish an extraordinary fourth-place, and fourth overall for the Grand Prix. With two niggling injuries, Van Horebeek bounced back from another front-end wash-out for a thrilling seventh place finish. The Belgian posted the same amount of points as Tonus this weekend, 27-points for seventh overall. With nineteen rounds of racing in the books, both of Yamaha’s official MXGP teams – Monster Energy Yamaha Factory Racing and Wilvo Yamaha Official MXGP – can put the results of 2017 on the shelf and shift their focus to the last event of the year, the Monster Energy FIM Motocross of Nations. Romain Febvre will be defending the crown for Team France, while Jeremy Van Horebeek will be challenging him as the captain of Team Belgium. 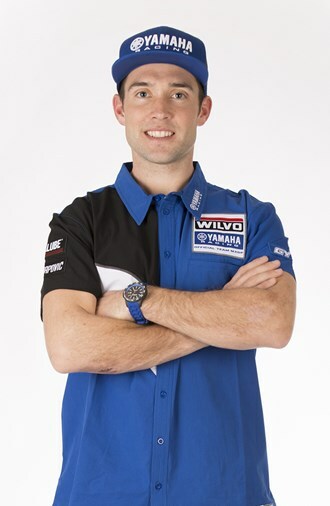 Arnaud Tonus will also be on the gate, representing his nation, Switzerland. The event will take place at Matterley Basin, Winchester, England on the weekend of October 1st.